2018 has been packed with excitement for the MarketCrest, LLC team. So far this year, the Dallas Marketing Agency has added valuable staff to the team, onboarded several new clients, won a number of awards, and had its President, Scott Berry, named as a grand jury panel member for The International Muse Creative Awards (MCA). 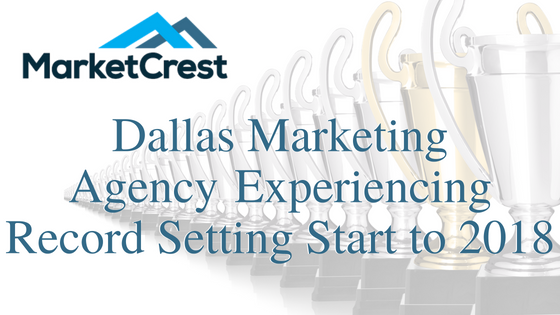 MarketCrest is a multi award winning, Dallas Marketing Agency (Consulting, Website, SEO, PPC & Social) located in the Historic Downtown McKinney Square in North Texas. Since moving into the McKinney, Texas office in 2016, MarketCrest has experienced exponential growth. In January of 2018, MarketCrest received its first award for the year, a Gold Ava Digital Award for a Business to Consumer (B2C) website created for a Dallas roofing contractor. Soon after, MarketCrest’s President, Scott Berry, was chosen for the Grand Jury Panel to judge the Muse Creative Awards. The competition seeks to recognize International talent and creativity in advertising, design & digital marketing. With other judges scoring MarketCrest’s own submission, the agency was able to compete for a Muse Creative Award and was named a Rose Gold Winner for Website Home Pages and Landing Pages. Finally, MarketCrest was recently awarded a Hermes Creative Award as a Gold Winner. The Hermes award was for Website Optimization and Conversion Results based on documented performance with a client in the legal industry. There is still a lot to accomplish for this Dallas Marketing Agency in the second half of 2018! To keep updated on MarketCrest happenings or get in contact with the firm, visit the website at https://marketcrest.com/ or call (469) 661-1040. MarketCrest, LLC is an award winning, Digital Marketing Consulting & Services firm specializing in client revenue growth. Simply, we exist to help our clients compete and grow… and we expect to be held accountable for their improved performance.